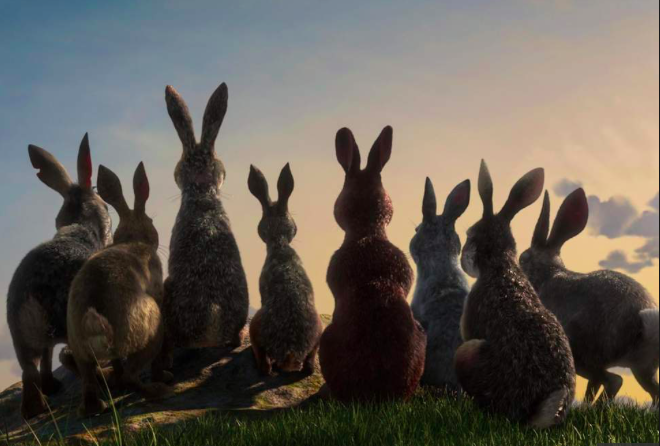 Miles appears as Blackberry in the new version of Watership Down for the BBC and Netflix that was on television at Christmas. It was adapted from Richard Adam’s novel by Tom Bidwell and the cast includes Olivia Colman, James McAvoy, Gemma Arterton, John Boyega, Daniel Kaluuya, Anne-Marie Duff and Freddie Fox. The four episodes are available here. 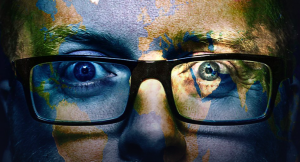 Miles was a guest on Frankie Boyle’s 2018 New World Order on BBCC2, alongside Jamali Maddox and Angela Barnes. You can watch it here. 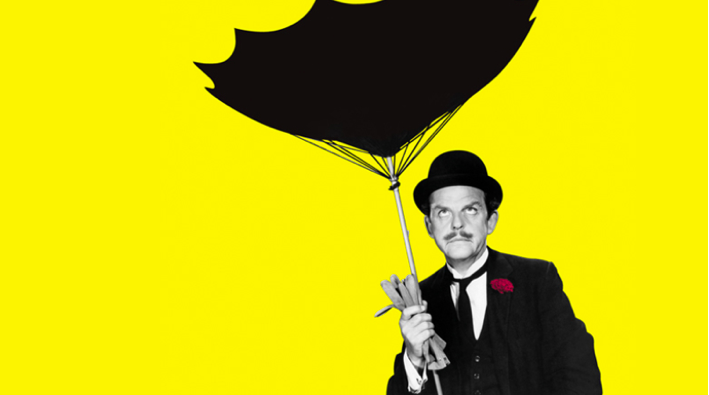 Next month Miles begins a theatre tour in a new play called The Life I Lead, about the actor David Tomlinson. Written by James Kettle and directed by Selina Cadell, Miles will be performing the show in Exeter, Chichester, Scarborough, Salford, Nottingham, Doncaster, Norwich, Oxford, Bury St Edmunds, Birmingham, Salisbury, London and Guilford. Click here for further information. 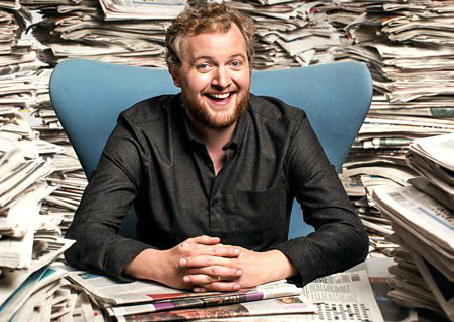 BBC Radio 4′s The News Quiz will be returning in the new year on 4th January. There was a Christmas Special of ITV’s Bad Move. 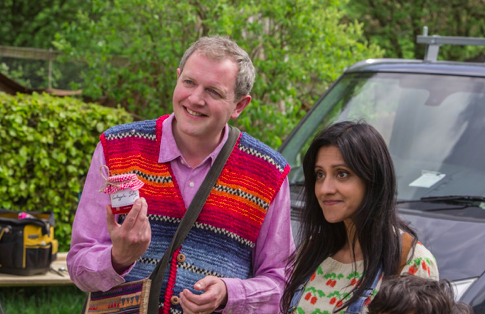 It is written by Jack Dee and Pete Sinclair and is directed by Adam Miller. Once again it also stars Dee, Kerry Godliman, Manjinder Virk, Thelma Ruby, Philip Jackson, Sue Vincent and the dancing sensation Seann Walsh. You can watch it here. 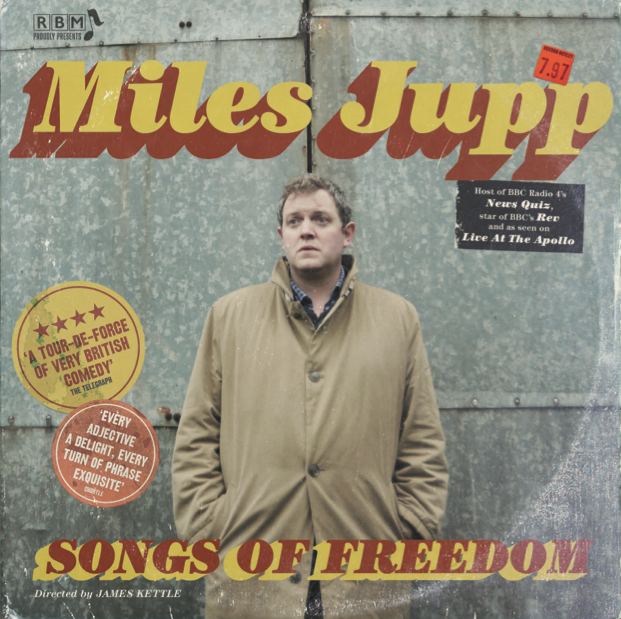 Miles’ stand-up show Songs Of Freedom was filmed at Leeds City Varieties last year and is now available to purchase as a download or DVD from Go Faster Stripe. 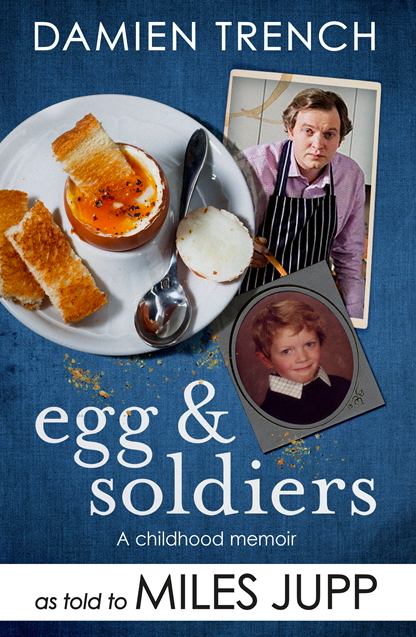 Miles’ new book is now out. 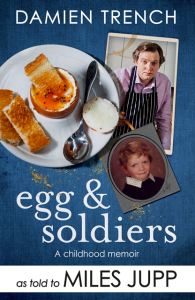 Egg And Soldiers is the fictional childhood memoir of Miles’ cookery writer creation Damien Trench from the series In And Out Of The Kitchen. It details his baffling and often excruciating upbringing in North West London and includes recipes, anecdotes, some wildly tangential opinions about the state of the nation as well as multiple references to panic attacks and the digestive system. You can order it here. Or you might conceivably prefer to order it from here. 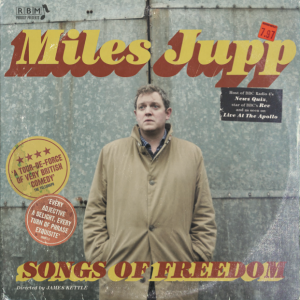 Miles’ 2014 stand up show - Miles Jupp Is The Chap You’re Thinking Of – is available as a DVD and instant download. You can buy either version right here. The show was toured all over the UK to big and delightful audiences and played in London’s West End to rather lovely reviews. This special version of the show was filmed in Margate at the beautiful Theatre Royal. And right here there’s a clip. Hurrah. 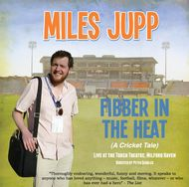 The DVD and the CD of the live show of Fibber In The Heat – Miles’ tale about idiotically blagging his way into the press corp during an England cricket tour of India – have now been released by Go Faster Stripe. The show was originally performed at the Edinburgh Fringe Festival in 2010 where it received over 20 four star reviews, and Miles subsequently performed the show on two tours of the UK. You can buy it here. Miles’ book about the trip was shortlisted for both The William Hill Sports Book Of The Year and the MCC and Cricket Society Book Of The Year in 2012 and a second edition has now been released. You could buy that here. If you would like to.